The new website has a cleaner look, additional video and audio clips, revised trial accounts, and new features that should improve the navigation. Redirecting to: www.famous-trials.com/johnbrown in (10) seconds. Boston physician Samuel Howe joined his wife, Julia Ward Howe (famous for her Battle Hymn of the Republic, based on the tune about "the body of John Brown lies a-moulderin' in the grave") in championing social reforms from better treatment for the disabled to the abolition of slavery. Howe disapproved of Brown's raid of Missouri slave farms, and had only mild enthusiasm for his Harper's Ferry venture. After Brown was arrested at Harper's Ferry, Howe published a disclaimer and fled the country. 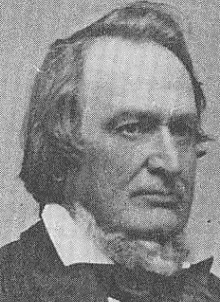 Higginson, a Worchester, Massachusetts Unitarian minister and devout Transcendentalist, was an antislavery disunionist and among Brown's strongest backers. Higginson wrote Brown, "I have perfect confidence in you. All you do will be well done." 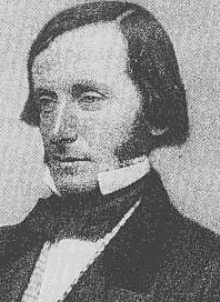 Higginson counted among his best friends Henry David Thoreau and Amos Alcott, the father of Louisa May. 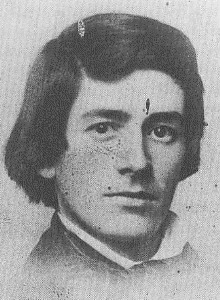 He has been described by historian David Reynolds in his book John Brown Abolitionist as "the most radical member of the Secret Six, urging Brown to launch the Virginia plan early and publicly announcing his support of Brown after the raid failed." When he learned that other members of the Secret Six were abandoning Brown after his arrest, Higginson wrote Sanborn, "Is there no such thing as honor among confederates?" One historian described Higginson as "perhaps the most radical man in America" during the Civil War era. 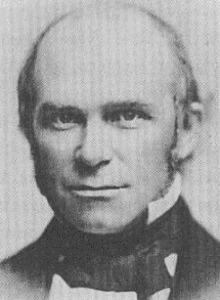 Liberal Transcendentalist Boston minister Theodore Parker was a strong supporter of Slave revolts, women's rights, temperance, and prison reform. His radicalism fueled by enactment of the Fugitive Slave Act, Parker participated in attempted rescues of fugitive slaves and formed a vigilance committee in Boston to fight those seeking to capture fugitive slaves. Parker wrote at the time of the Harper's Ferry attack, "One held against his will as a slave has a natural right to kill everyone who seeks to prevent his enjoyment of liberty." Concord resident and Harvard-educated intellectual Franklin Sanborn served as the secretary of the Massachusetts State Kansas Committee and ran a school (Ralph Waldo Emerson's kids were among his students) while only in his mid-twenties. Sanborn first provided money, arms, and books for Brown's activities in Kansas, then later at Harper's Ferry. Sanborn, who saw Brown as "an unmixed Puritan breed," introduced him to two other members of the Secret Six, Parker and Higginson. 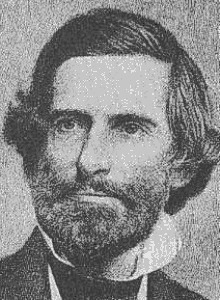 He also arranged for Brown to make a plea for financial support directly to the Massachusetts legislature, but a bill to aid the Kansas antislavery efforts failed. 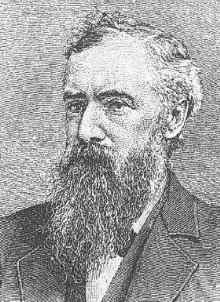 In 1885, Sanborn published The Life and Letters of John Brown. Millionaire antislavery philanthropist Gerrit Smith of Peterboro, New York was the first member of the Secret Six to meet Brown. Smith, the only member of the Six not to share Transcendentalist leanings, vacillated between supporting peaceful nonresistance to slavery and Brown-style militance. In 1859, he provided $700 to aid Brown's plans, after Brown's successful slave raid in Missouri. Smith said, "I was once doubtful in my own mind as to Captain Brown's course. I now approve of it heartily." Following Brown's arrest at Harper's Ferry, Smith destroyed his documents that could link him to Brown. He became so fearful that his connections to Brown would be exposed that he spent time in a lunatic asylum. When President of the Massachusetts Kansas Committee George Stearns met Brown in the office of his Boston factory, the two took to each other "like the iron and the magnet," according to Stearns's son. (Brown's autobiographical letter to Stearns's twelve-year-old son Henry makes for compelling reading.) Stearns became the chief contributor of both funds and arms to Brown. Following Brown's capture, Stearns fled to Canada, where he remained until after Brown's execution. Steans said, "I consider it the proudest act of my life that I gave good old John Brown every pike and rifle he carried to Harper's Ferry." During the Civil War, Stearns led the effort to recruit black soldiers for the Union Army. On January 1, 1863, Stearns hosted "the John Brown party" to celebrate the Emancipation Proclamation, issued that afternoon by President Lincoln. He later helped establish the Freedmen's Bureau and played a major role in the fight to win for freed slaves the right to vote.